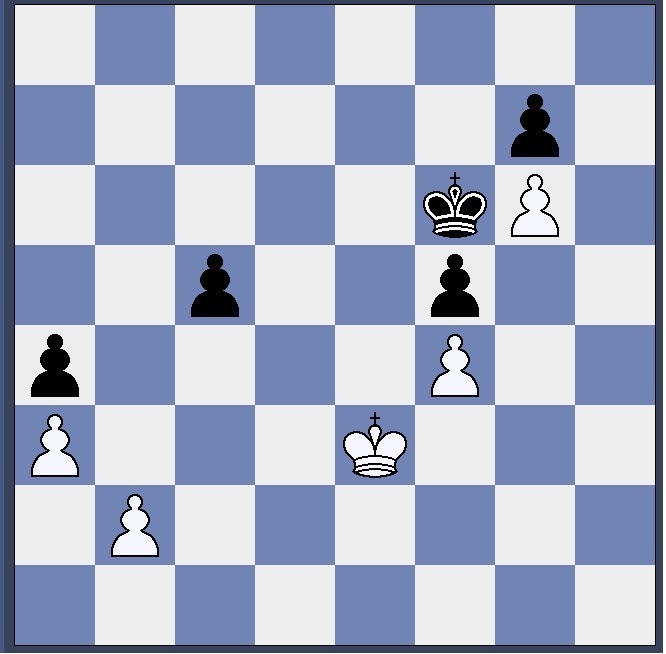 Two positions from my game last night (Feb 14th) game as white against Gary Cornwall, illustrating the subtlties of pawn endings. At this point Fritz says I am marginally ahead, though I didn’t think so at the time, and eventually lost. This is a position from my recent game with Tom Bradford. Fritz tells me that I could have happily played Ng6+ in this position. I was tempted over the board but couldn’t convince myself to do it. See below for my analysis. After Ng6+, play continues fxg6, fxg6, h6, gxh6, Bh4 and as the Queen is overloaded, RxR wins the Bishop on h4 and white has won at least one pawn. Ian Mackay and Peter Crichton have provided this position from a recent Monarchs v Haydon Bridge match. Derek Blair is white & Tom Bradford is black. What is wrong with Nh5, as played by Derek ? 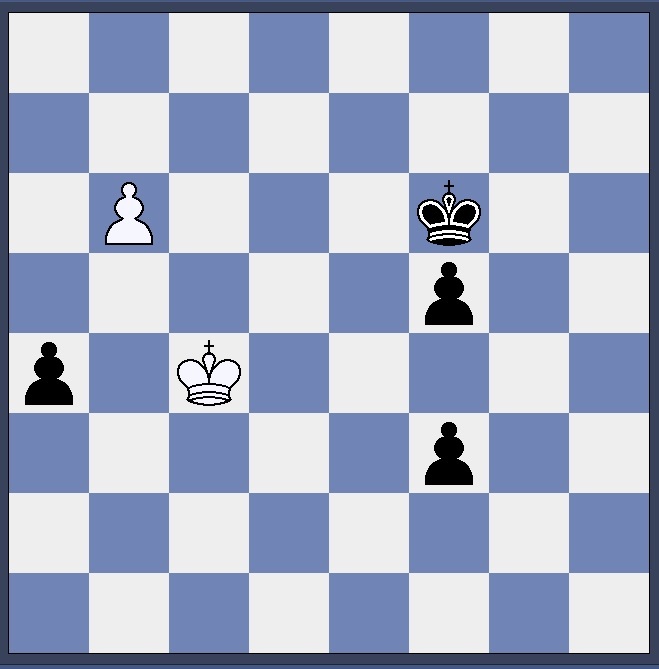 This position is from David’s game against Ian Mackay. 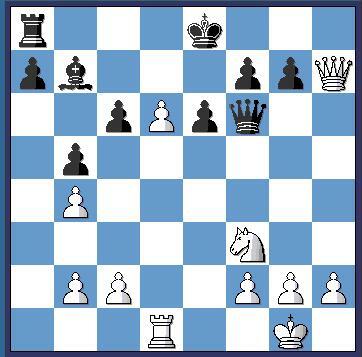 Can you match David and find a winning move for white ? David has pointed out there are two correct first moves, though they both have the same theme.